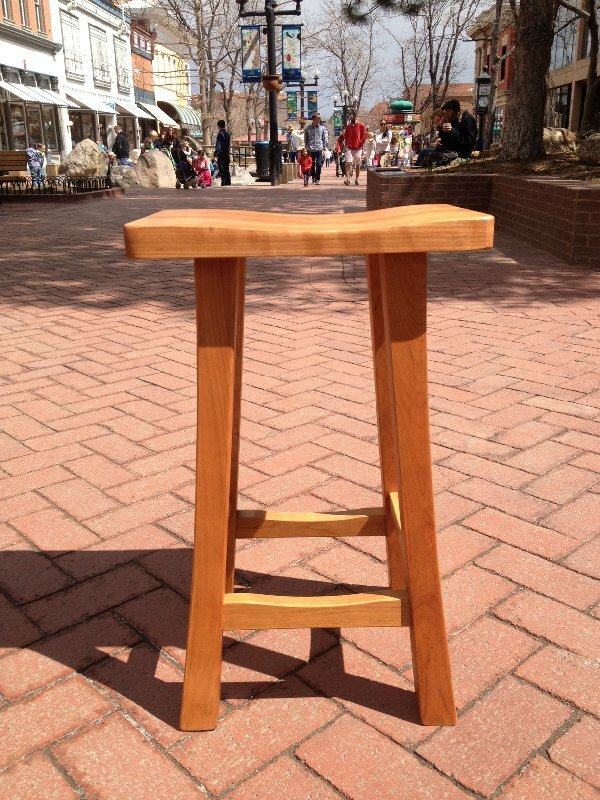 The humble stool often finds itself in the very center of things. 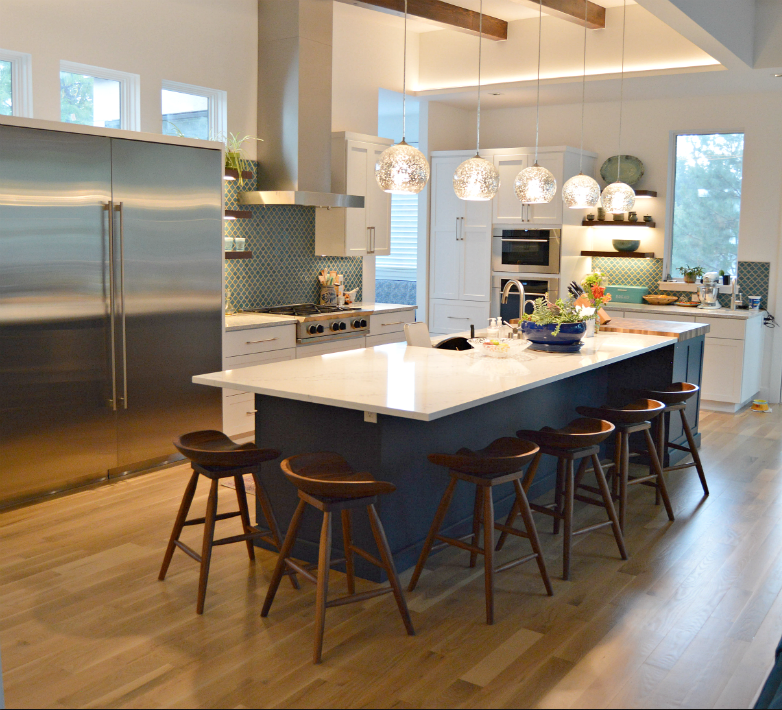 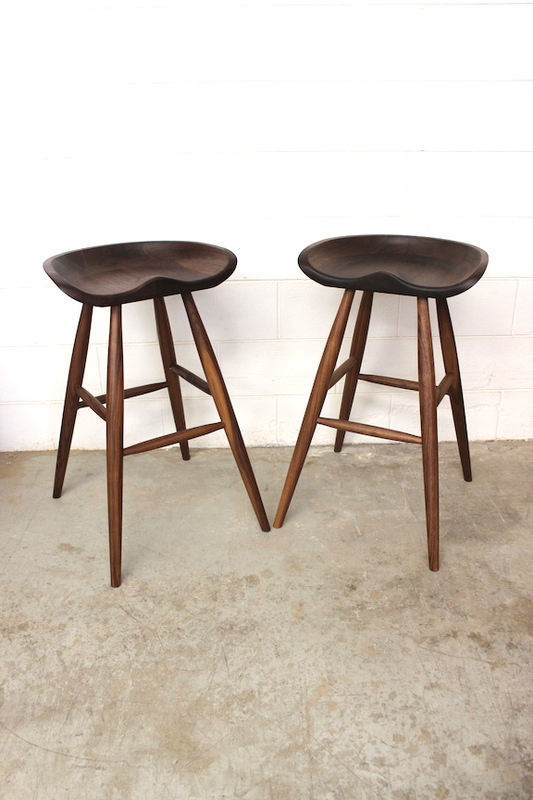 Beautiful, high-utility stools can define a space as simultaneously comfortable and modern. 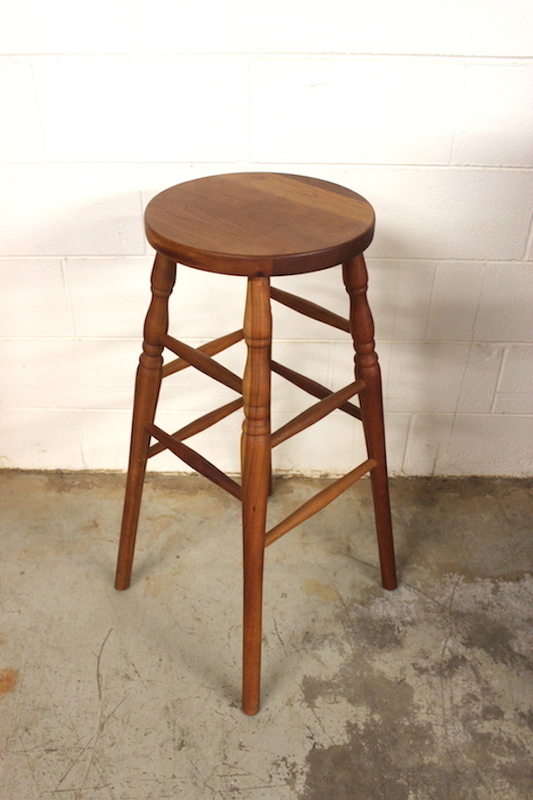 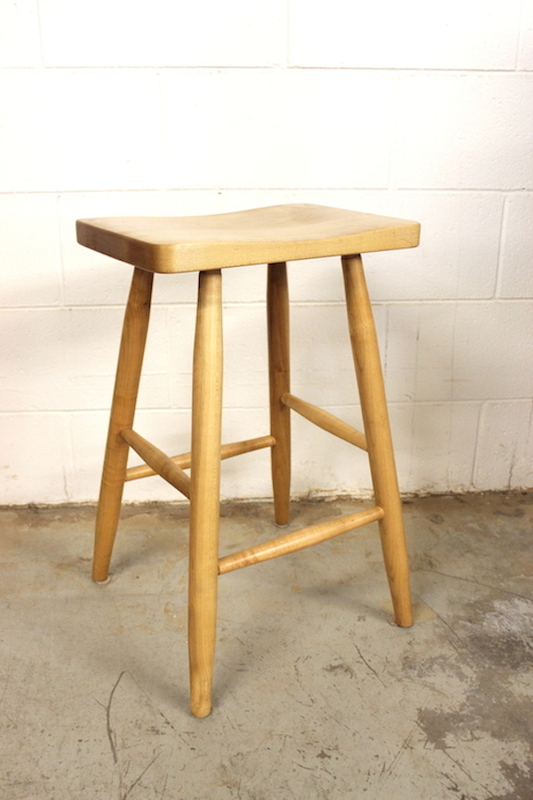 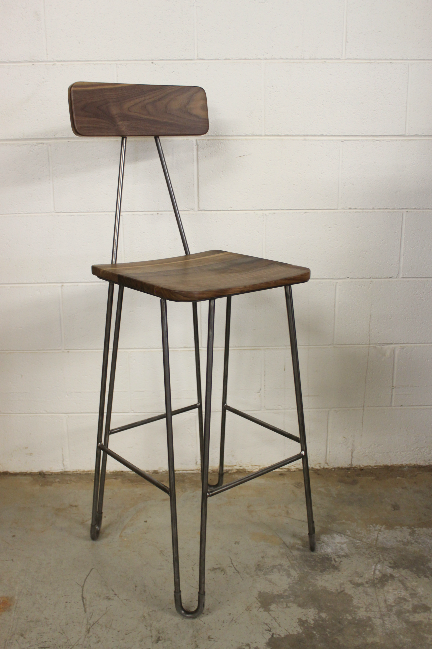 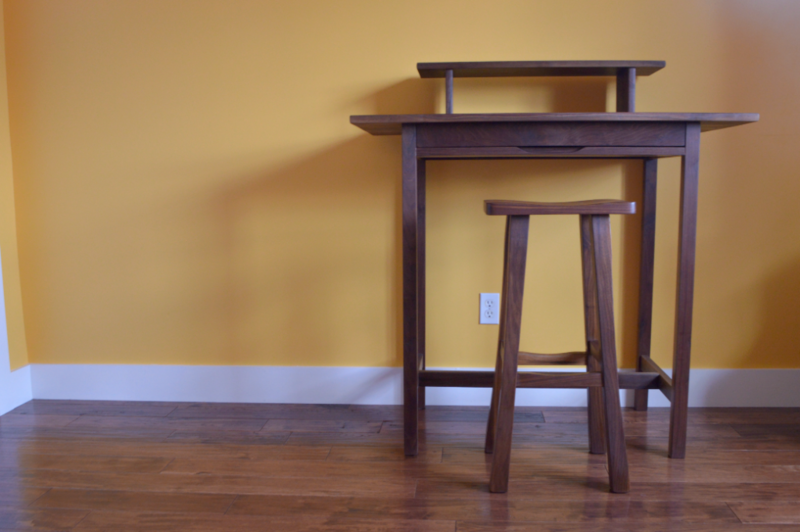 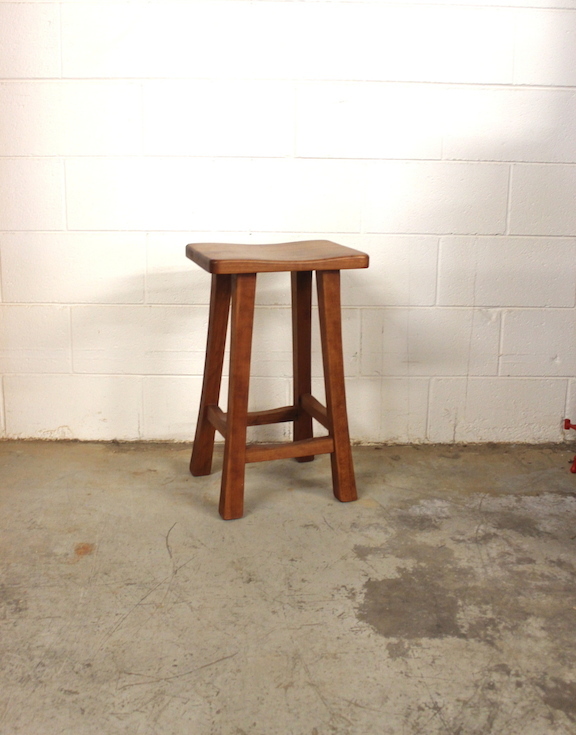 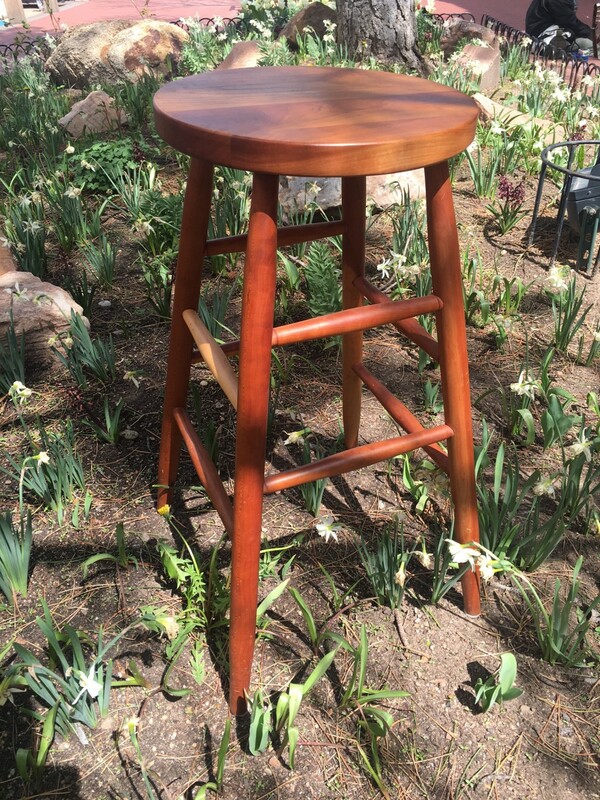 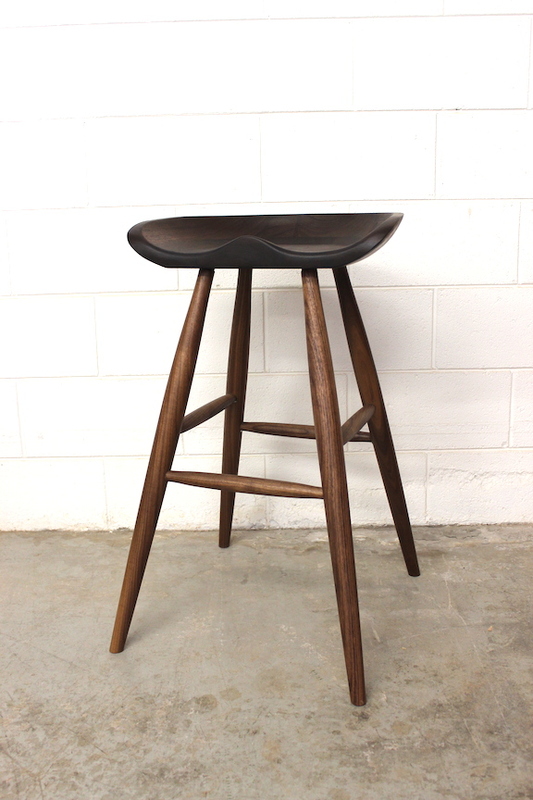 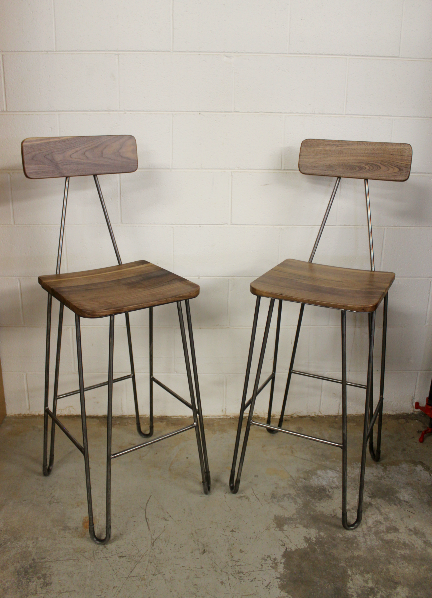 STANDARDS Stools are made of solid, kiln-dried and FSC-certified sustainable hardwood. 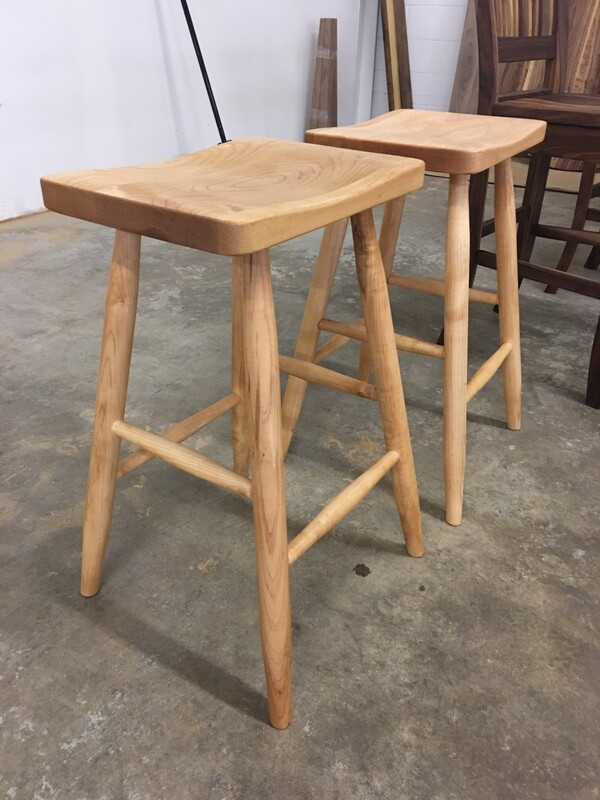 Each component part is conceived according to structural and aesthetic qualities of its tree of origin, and classical construction includes hand-turned legs, wood-on-wood joinery and steam bent backs. 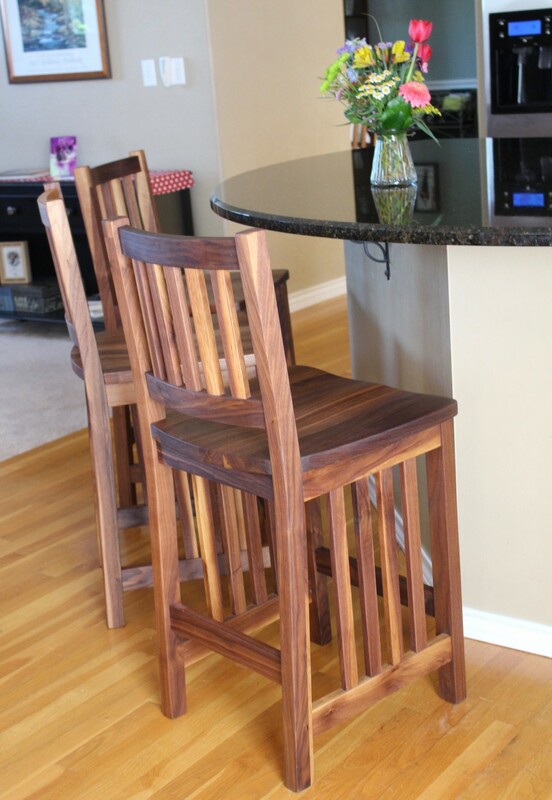 Available nowhere else, our hand-rubbed oil finish creates a velvety, dimensional surface and the option to touch-up at any time without a professional or toxic chemicals. 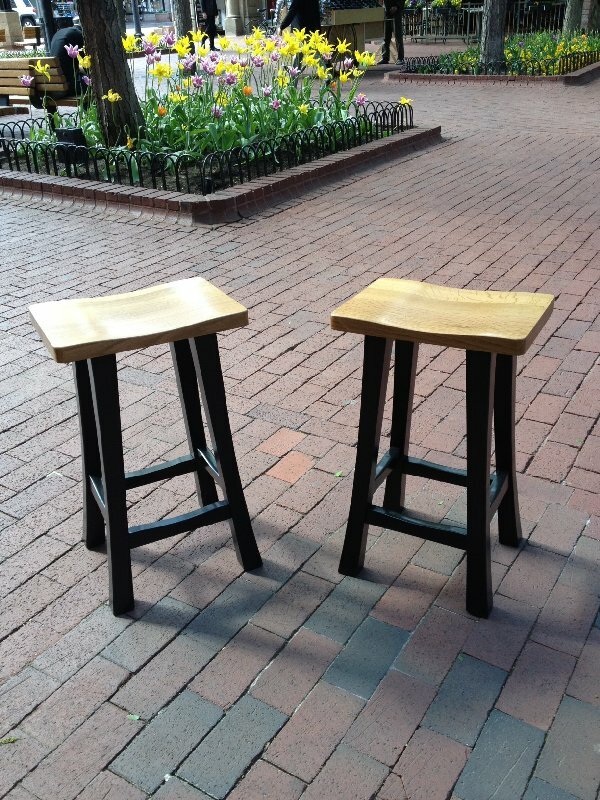 OPTIONS Each stool is Made-to-Order. 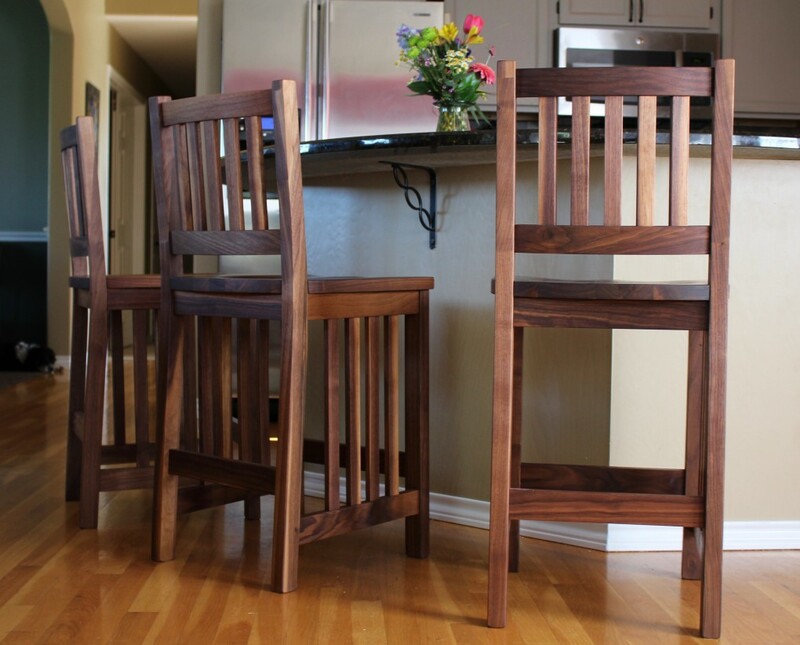 Choose a backless or full-back style (from any of our dining chair designs), and a wood species* from our FSC-certified solid and sustainable collection. 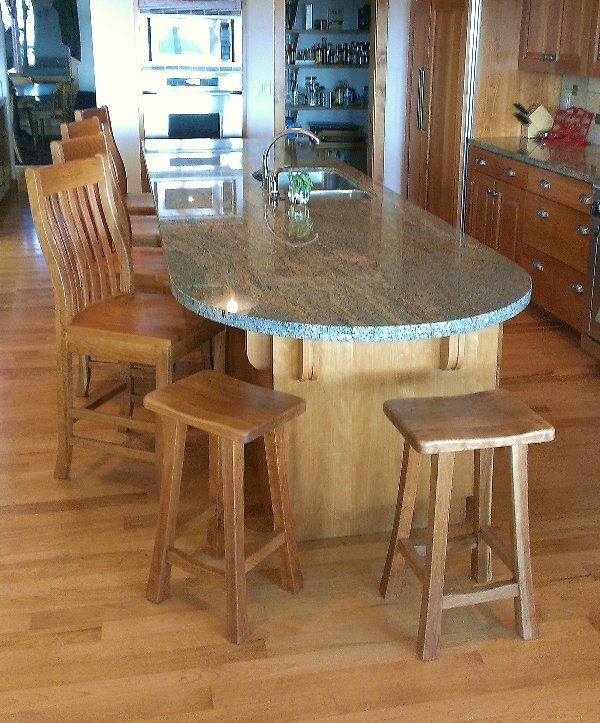 Specify dining-height, counter-height, bar-height or custom-height, add optional arms, 360-degree swivel and/or upholstered seats wrapped with any fabric or leather. 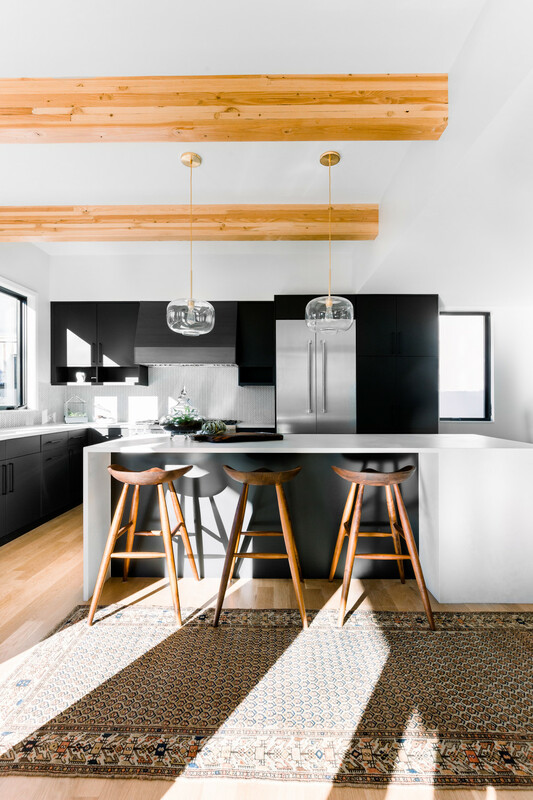 We’re here at the showroom and a phone call away (seven days a week) to provide expert advice and guidance on chair selection, seating schemes and more. 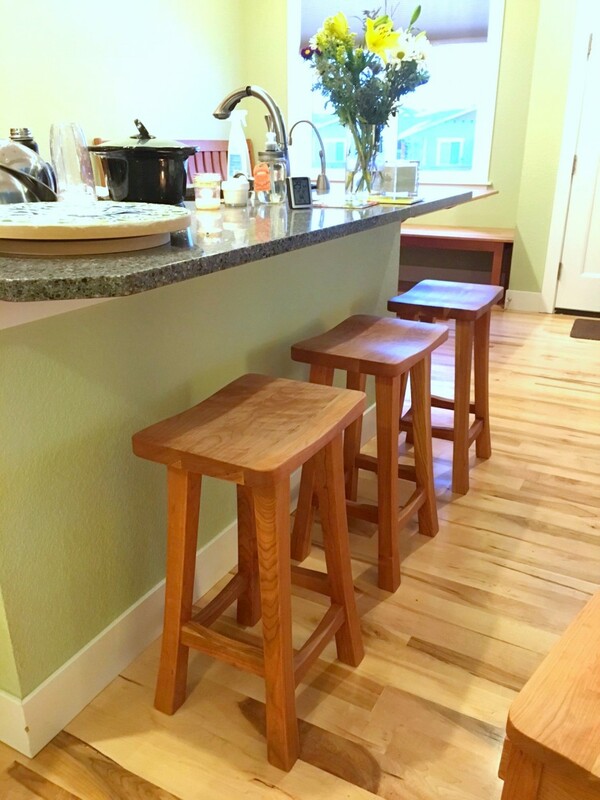 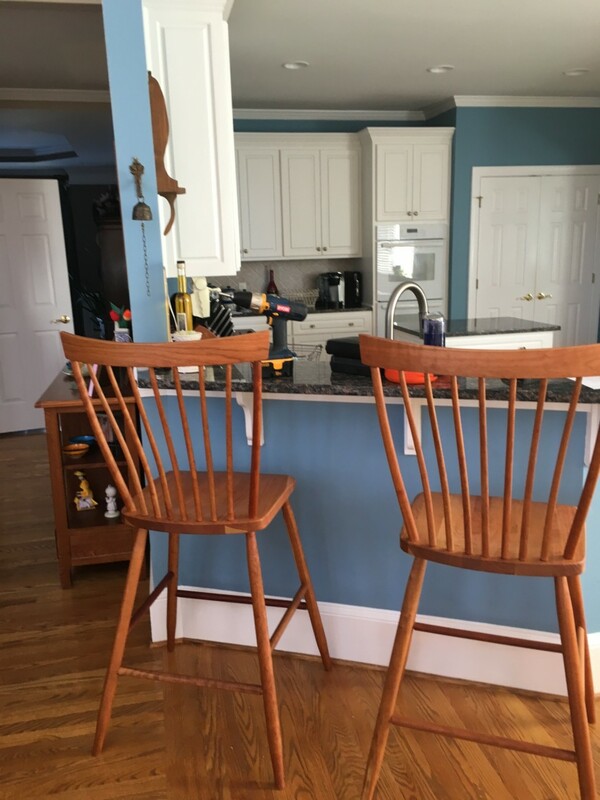 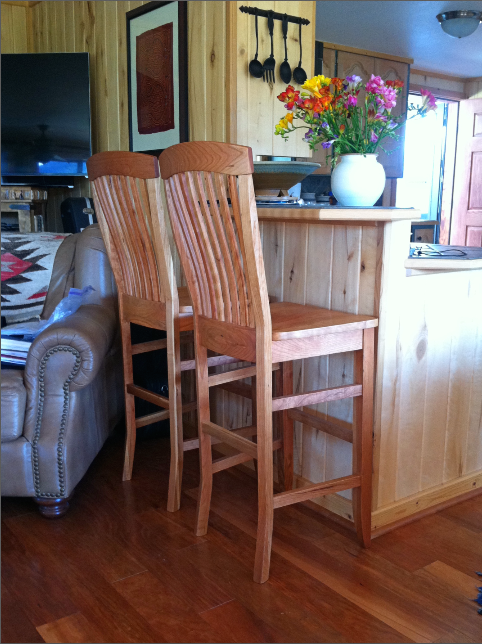 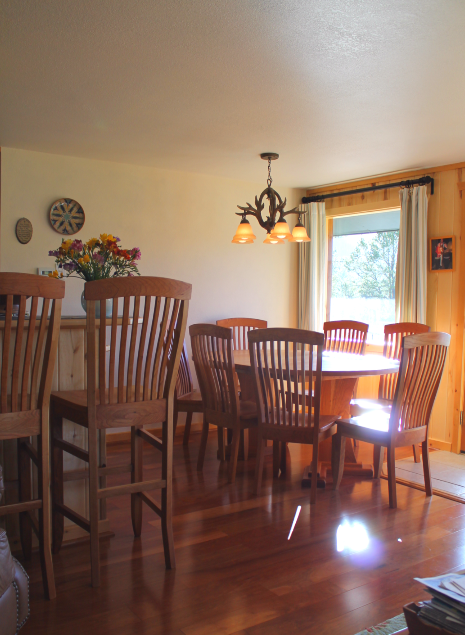 *Stools are not available in Beetlekill (Blue) Pine. 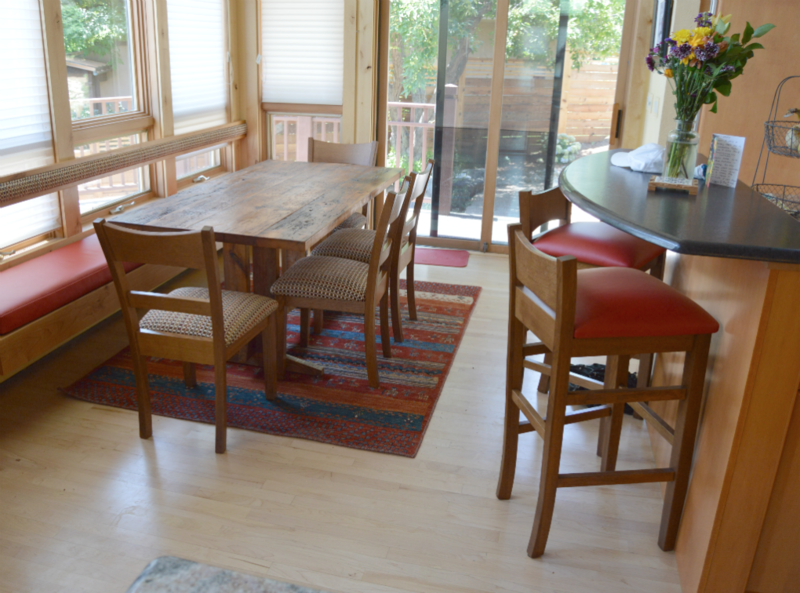 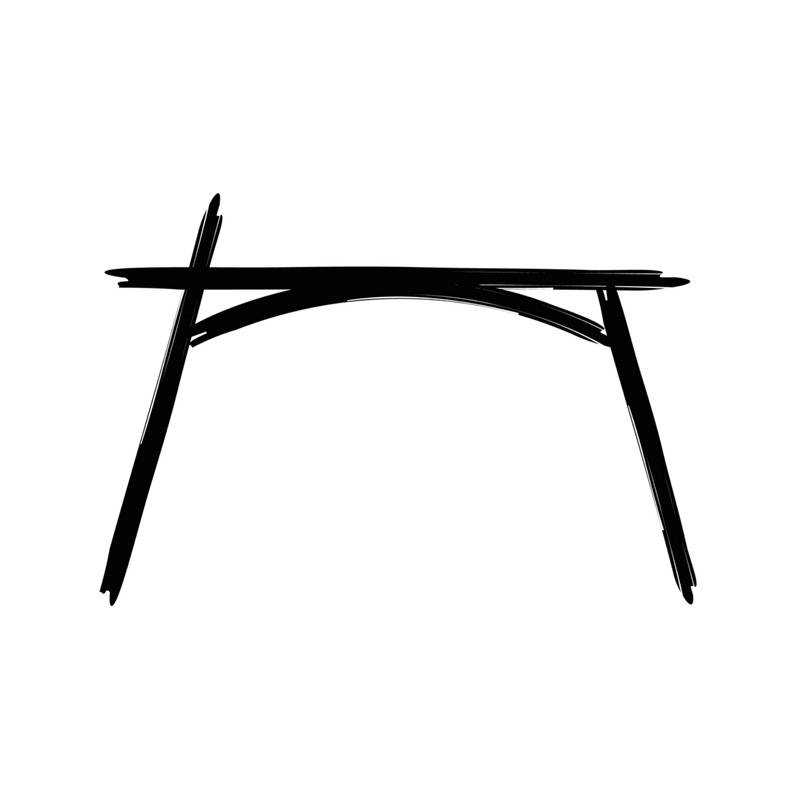 Consider a counter-height table or a backless bench made out of our locally salvaged resource!